There are only two graphic file formats: VECTOR and RASTER. When working with large-format graphics, it is important to understand each format to ensure a high quality final output. A VECTOR IMAGE is a collection of connected lines and curves that produce objects. Every letter in a font starts out as a vector object. Vector images are object-oriented while raster images are pixel oriented. In a vector object, colors are like clothes over the top of a skeleton. CorelDRAW and Illustrator create text and objects using vectors that can be easily manipulated. The images below will demonstrate the differences between vector and raster. The preferred application for supplying layouts and vector art with maximum compatibility and flexibility. Any high resolution image placed onto the file must be linked not embedded. Supply all linked images as separate elements along with the layout file. This enables our graphics team to make any colour adjustments and/or image manipulation quickly and easily. Please provide all logos and text using this application wherever possible. Do not flatten any transparencies in your files. The preferred application for supplying high resolution raster images with maximum compatibility and flexibility. Save files created in Photoshop as EPS (with clipping paths if required). Always supply the high resolution PSD files where possible, this will enable us to make colour adjustments and/or image manipulation. Refer to the "Preparing Scans and Image Resolutions" for information on preparing these file types. PDF stands for Portable Document Format. It was created by Adobe, and is fast becoming the standard for all document transfers, not just web documents. Formatted properly, PDFs can provide smaller file sizes, eliminate font issues, cross platforms, include formatting features, and carry forward images. They provide as much resolution to the printer as required, provided the source document is of a high enough resolution to begin with. What do I need to Know about Preparing my PDF? PDFs can be created in numerous ways. Most graphics applications allow you to save directly as PDFs. If your application does not, there are third party plug in applications and print drivers that will allow you to convert files. Choose your art board dimensions: When creating your art work, choose the art board dimensions to match the dimensions you want the printed product to be, and include the desired white space. Position your design on the art board: Ensure your design is properly placed on the art board. Any portion of any graphics lying outside the art board will not be printed. Work at full scale: Whenever possible, work at actual size. If limitations in your software do not allow this, then work at a 50% or 25% scale and we will automatically scale your image to the proportional size. 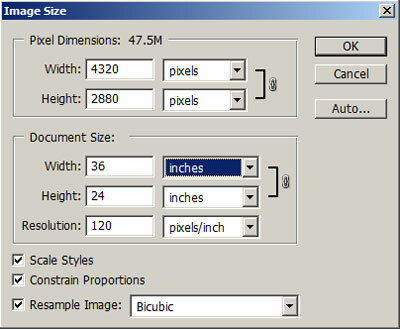 Check the resolution of the images you use: Bitmap, jpg, tiff and other rasterized images have a fixed resolution. If you signage has a large viewing distance (such as 20+ feet as in billboards), the resolution can be as low as 45 dpi or even less. When viewing at actual size on the monitor, you can be the judge. Simply back away from the monitor. You have to be aware of your client's expectations as to viewing distance, and the point where the pixelation becomes acceptable. Proofing your files for resolution and image details is straightforward. After saving as PDF, open the file in Adobe Acrobat Reader. Do not use your application as the final check; always use Adobe Reader. If you have designed at full size, then set your zoom to 100%. Scroll around and proof for resolution and fine detail. Reduce your view to check larger items, and "view fit to page" to ensure you have left adequate white space for any mounting, cutting, and aligning methods that you may use. Remember to hold white space or use a full bleed image for hemming banners. If you don't like what you see, don't submit it for printing. You are welcome to contact us to discuss any issues you may be having. 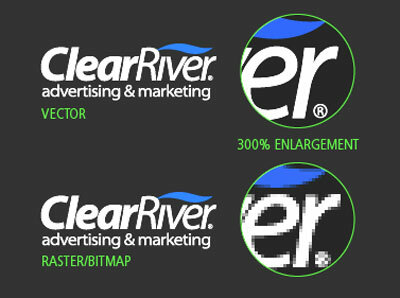 All raster images should be at least 400dpi at 1/4 size. Please save all rasters as .eps only. If using raster text in your images, they must be at least 600 dpi at 1/4 size. All scans must be provided in the CMYK colour space. Optimal resolution for flatten images are 120dpi at the finished output size. Images lower then 100dpi will result in low image quality. All text in your artwork MUST BE converted to outlines ( path or curves ). Otherwise please supply along with your artwork all fonts used by you during graphic design process. C-75%, M-68%, Y-67%, K-100% in order to avoid ink saturation and bleeding. If any colour needs matching i.e. corporate identity colours, please specify these as Pantone Coated (PMS). Some PMS colours such as fluorescent and metallic cannot be matched exactly. Quick Signs will match these colours as accurately as possible. We will make every effort to meet your supplied colour reference we cannot guarantee an exact match. Only VECTOR Files are good for cut out letters and logos. The best software to prepare artwork for cut vinyl output is Adobe Illustrator. DO NOT use raster images. DO NOT stroke the vector path with a colour. DO NOT fill paths with a gradient blend, pattern fill, or screen (tint) of a colour. All type must be converted to "outlines" or "path".